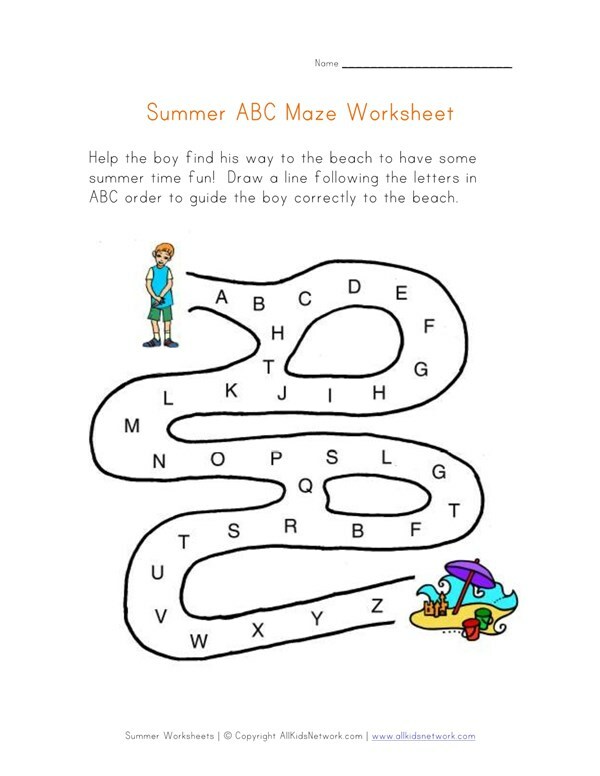 Help kids practice their alphabet with this free printable ABC order worksheet with a summer theme. Kids are asked to draw line to follow the path of the letters in alphabetical order to get to the end of the maze. 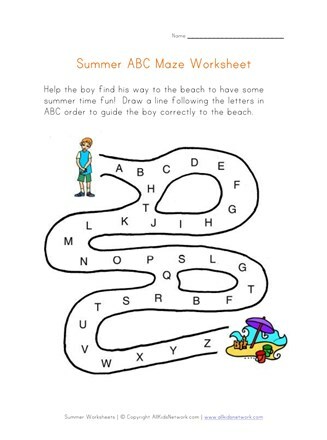 This is a great worksheet for kids that are learning their alphabet and during the summer time. Make sure to also check out the rest of our summer worksheets as well as our section of summer crafts for kids.